The formal consultation period for the Special Administrators’ draft report on the Mid-Staffordshire NHS Foundation Trust is due to come to an end at midnight tonight. The discussion period began on August 6, after the administrators published their draft report into the hospital. This recommended the accident and emergency department should only be available in the daytime, and the transfer of maternity and paediatric services to other larger NHS trusts. While the consultation period has been on-going there have been a number of protests against the cuts to the Trust, the latest being a march through Stafford last weekend. Once the consultation period is complete, the Special Administrators will submit their final report. The health service regulator for England, Monitor, and the Secretary of State for Health, will then decide on the recommendations for the hospitals in the Trust, and how to implement them. We are very much open for business as usual at both Stafford and Cannock Chase Hospitals and all patients should continue to attend their appointments as usual. We are encouraging local people to use our services as they normally would. No changes will begin to be made until post the consultation period and after the Secretary of State for Health has made his decision about the future of the trust much later this year. 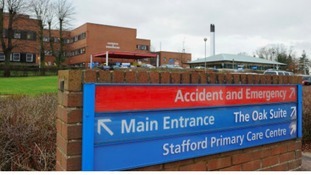 Mid Staffordshire NHS Foundation Trust insists it is "business as usual" after administrators announced it should be dissolved and one of its hospitals stripped of key services. The trust says all services, including those for children and maternity, will continue during the public consultation period. The trust, which runs Stafford Hospital and Cannock Chase Hospital, went into administration in April after a report found it was not "clinically or financially sustainable." Trust Special Administrators (TSAs) have now recommended a major shake-up, saying the trust earns around £150m a year but costs about £170m to run. The consultation on their recommendations starts on August 6 and is running until October 1.